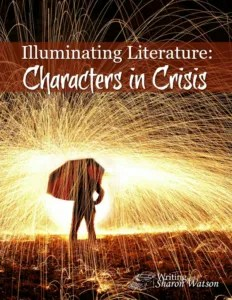 Writing With Sharon Watson, Illuminating Literature: Characters in Crisis – My Review | My Journeys Through Life . . . Herding Cats In New Mexico! ← A Day With The Horses! We have had the opportunity in the past to use curricula from Writing With Sharon Watson, and because “The Artist” really enjoyed it we were very happy to get the chance to review her Illuminating Literature: Characters in Crisis! We also received access to the Quizzes to be done online, which then would grade them for us, allow the student to print out the completed quiz and scoring, and would also then email the same to the email address used to log in and take the quizzes. In this case, I had “The Artist” use my email, so I would receive copies after he had done them. Within the text, Sharon Watson recommends specific editions, because when the Student Text asks questions, the student is often directed to a specific page or pages of the novel. 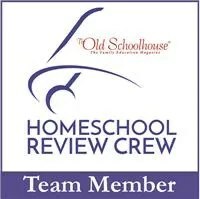 This course is written for grades 9 – 12, and will qualify your student for one credit over two semesters. As with the other curricula we have used which was written by Sharon Watson, this is definitely written from a Christian worldview. By the time he finishes this curriculum, “The Artist” will have been taught almost 100 literary terms and devices when they occur naturally in the reading selections. My hope is that as intended by Sharon Watson, my own student will gain a real appreciation for fine literature, and retain the knowledge of the many tools used by authors when they write. This is the second volume in a series. However, students may take this and the first volume Illuminating Literature: When Worlds Collide in any order. This is another thing I quite like about Sharon Watson’s curricula. All in all, we are so pleased to have the opportunity once again, of working with one of Sharon Watson’s products, and highly recommend this, and any other of her works. Hi, Lori. Thank you for your review and for including your son’s drawing of the scene in “A Jury of Her Peers.” I love it that your artist could choose something artistic as a follow-up to the story.